Among Kuroda Nagamasa’s captains was a samurai named Goto Matabei, a much-respected professional warrior who often proudly boasted of the 53 scars on various parts of his body, trophies of the many wars in which he had participated. He provided fine service to the Kuroda clan during the Battle of Sekigahara. Although Goto Matabei was fighting under Tokugawa colors that day, he would later side with Toyotomi Hideyori in Osaka, and was killed in the Summer Battle of Osaka in 1615. 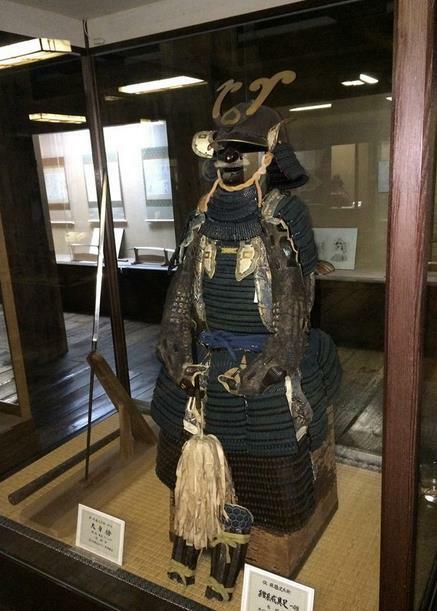 One of his sets of armour is now on display in Matsue Castle. Source – Battle of Sekigahara. I thought this armor looked familiar! I’ll have to take a closer look at it next time I’m in Matsue Castle now that I’ve got more backstory to go with it. Sorry for a second reblog in a row (life’s been busy! ), but I learned something new about a set of armor–among many–that I’ve passed by several times inside Matsue Castle. Makes me want to learn more about Goto Matabei. Thanks to Rekishi Nihon (Japanese History), always an interesting read!